If you’re planning on launching a gardening business, one key issue that you’ll need to carefully consider is what your business status will be. The three main options for UK businesses are to operate as a sole trader working on your own, to set up a limited company or to go into partnership. If you decide that your business would work best with you solely in charge, then operating as a sole trader is the option for you. In fact, this is the option chosen by many people each year and there are lots of successful gardening businesses run in this way. It’s a good option to choose if you’re very sure of the direction you would like your business to take and are happy making all the key decisions yourself. As a sole trader, you don’t have to pay any registration fees to set up your business. However, you do need to register yourself as self-employed and you’ll have to complete an annual self-assessment tax return for HM Revenue and Customs. As you’ll have to go through the self-assessment process each year, it’s essential that you learn to keep accurate records throughout the year, including details of all the payments you receive and all the supplies you purchase. If you’re unsure of how to complete a tax return, or want assistance with it, then hiring an accountant is a good move. There are a few downsides with being a sole trader and it’s not always an option of choice for everyone. It’s easy to get carried away and work all hours of the day and night, leaving you with little time to relax and unwind. Financially, if your business doesn’t work out and fails, as a sole trader you’re unfortunately liable to pay for the failure and all the costs involved. If you decide that your gardening business would work better as a limited company, then there are a few essential things you have to do to set it up. By law, you need a company name and a UK address in order to set up as a limited company. You have to register your business with Companies House and have to have at least one director and a company secretary. Limited companies can be a bit time-consuming to run and there’s a fair bit of paperwork to complete. You’ll have to do a tax return each year, for Companies House, and in addition to your annual tax payment, you’ll have to pay Corporation Tax as well. One of the advantages of running a limited company is that, if the business is unsuccessful and fails, you’re less at risk personally. One of the downsides for some people though, is that your business affairs are in the public eye, as anyone is free to request details of your company information and accounts each year. 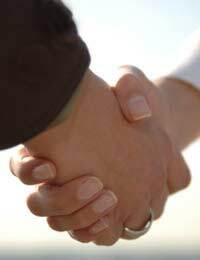 The third main option for gardening businesses is to form a partnership. This is where you go into business with one or more people and each person has a share in the business and takes a share of the profits. Their exact share varies, depending on factors such as the amount of money invested or the amount of time spent working on the business. If you want to form a partnership, each partner has to register as self-employed. At the end of each tax year, each individual partner – plus the partnership as a whole – has to complete an annual self-assessment tax return. Like sole traders, one of the downsides of forming a partnership is that there’s no protection in place if the business fails. Problems could also occur if one partner resigns, dies or becomes bankrupt. In situations such as this the partnership has to be dissolved, although business can continue. Whichever option you decide, make sure you think through the decision carefully, weigh up the pros and cons and get any professional advice if you require it.